Critical Thinking Bundle plus a free bonus! Full video previews are available for the first 24 hours after a resource kit is uploaded. Follow my store to know when a new resource is available! What is true friendship? What kinds of friendship are there? 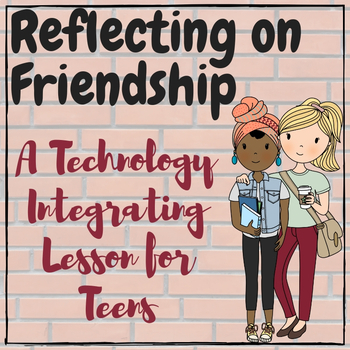 Have your teen students explore these questions with this tech & video based resource. Great in front of a class with a smart board or on personal computers/tablets. ⭐ LIFE SKILLS BUNDLE Growth Mindset, Critical Thinking, Coping Skills and more! ⭐ Growth Mindset - QR CODE Famous Failures scavenger hunt! ⭐ Growth Mindset MEGA BUNDLE! If you like this resource please FOLLOW my store, and don't forget to provide positive FEEDBACK! TPT gives credits for feedback provided which you can redeem on your future purchases! If you are unsatisfied with the product or there is a problem with it please CONTACT ME and let me know and I will take care of it IMMEDIATELY. My email is geekchiceducationalvideos@gmail.com. I put a lot of time, effort, and resources into planning, writing, recording, and creating these resources. Please use them personally and do not distribute them.